Now that you’ve said yes to the dress of your dream, it’s time to start on your next gown shopping journey: the quest for the perfect bridesmaid dress. Finding the “perfect” bridesmaid dress that looks good on everyone in your bridal party, sort of never happens. We understand the struggle of finding THE bridesmaid dress to match the entire bridal party, but it doesn’t always have to be this tough. No matter your wedding style or size of your bridal party, we’ve got everything you need to know to find the right dress for your girls. Here’s our tip on how to make bridesmaid dress shopping a breeze. Start of by doing some research. Browse through wedding lookbooks, bookmark your favourites and share them with your friends. Who knows, they might just give you the best advices. If you’re flipping through magazines or browsing online, tear out pages or save images to your inspiration board to help zero in on the colours and styles you like best. Find physical or even online stores that carry the dresses you love. Unless you’re paying for your bridesmaid dresses, then you’ll have to be considerate of your friends’ lifestyles. If you’re concerned your wedding might be a financial burden for one or more of your bridesmaids, focus your search on dresses in a more affordable range. Love, Bonito’s LYLAS Bridesmaid Collection creates dresses that are curated from quality fabrics at price points that are wallet-friendly. Prices start from as low as SGD$36.90 for a top and SGD$63.90 for a maxi dress. Best part, the collection are suited for formal and semi-formal occasions so your bridesmaids can recycle their outfits once the wedding is over. We can all agree that one feels most confident in the clothes that make them look and feel good. Never trust “Free Size” or “One Size Fits All” dresses because we know that’s not how our bodies are designed. It’s important to dress to your body type in order to bring focus to the part where you want to accentuate and divert attention away from parts you do not. For all my thick girls out there, you know how exhausting online shopping can get. Finding a dress to fit you in all the right places can be almost impossible. However, the LYLAS collection expanded their size range from XXS to XXL, so they’ve got all the best friends covered. Not everyone has a similar taste in style. Some of your friends may dress more androgynous than feminine. If you have friends who prefer pantsuits to midi skirts, no problem. The LYLAS collection is designed for bridesmaid to mix-and-match — with separate coordinates that pair well in any combination. 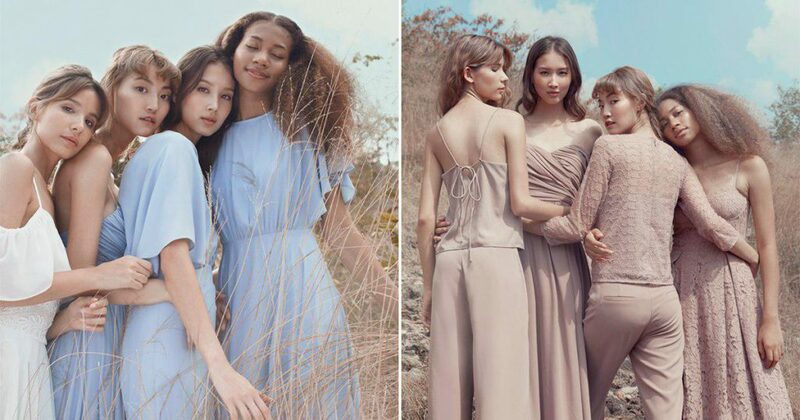 Even if there is one bridesmaid wearing an “odd-one-out” pantsuit with a lace top amongst the other midi dress, they’ll still look cohesive as a power-packed bridal party. Talk about having your very own Spice Girls at your wedding. Let’s be honest, not all of us are suited for pink, blush or baby blue. Think about choosing a shade that goes well with a variety of skin tones. If you have a wedding theme that includes specific colours, then bridesmaid dress colours will be pretty easy to pick. If your colour options are more open, you can go with a shade that will flatter your wedding gown or complement your flower choices. You can also choose colours that reflect the year’s wedding trends. Designed to allow the flexibility of the bride to choose and pick her colour palette, the LYLAS collection currently offers six key colours (and counting)! This colour signifies femininity reworked. The hint of grey elevates the blue with a modern edge. An understated yet sensual colour which ignites a sense of romance with an elegant touch. This is definitely one of our favourite colours. Maroon screams sophistication, passion and power. The theme for LYLAS May 2018 Collection is “A Celebration Of Sisterhood”. So if you want your girls to turn up at your wedding looking hotter than Taylor Swift’s Squad, Love, Bonito’s LYLAS Bridesmaid Collection is the one stop place for all your bridesmaid needs. This stunning collection will be available online from 31 May 2018 onwards so hurry and get your hands on their beautiful designs. 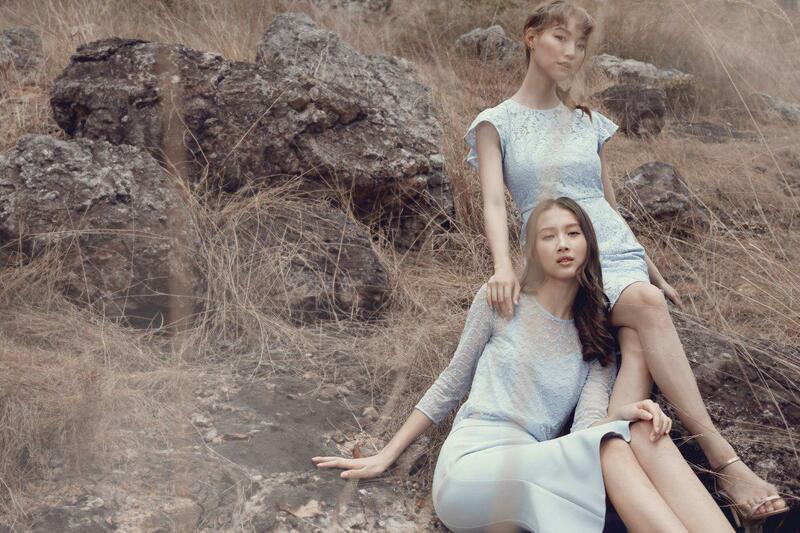 Whatever style and/or colour you envision your bridal squad wearing, we’re sure you’ll find it at Love, Bonito.